Working in a call centre requires your employees to be sat down for long periods working at a computer. 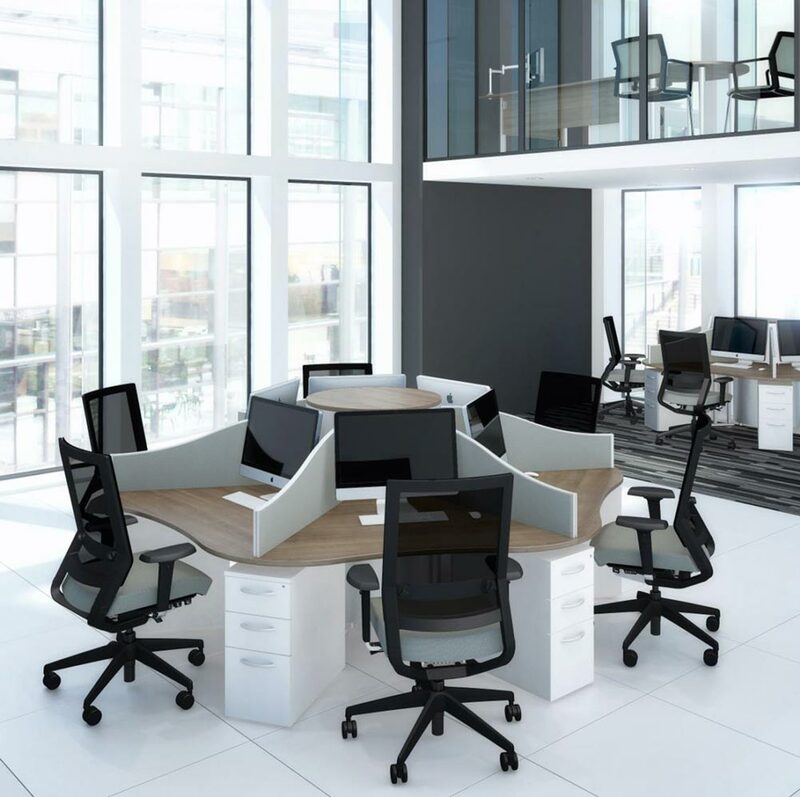 To ensure that they don’t sustain long term injuries, or experience any discomfort, it’s important to select the best type of office furniture for them to use. Just because the world of call centres is fast paced and busy almost all of the time, doesn’t mean that your furniture should reflect that. In fact, call centre furniture should be bright, comfortable and enjoyable in order to inspire your employees to work at their very best. This means a happy company, happy customers, and happy employees. In most offices, the supervisors and managers sit separately from other employees. In a call centre environment, it’s important for them to be nearby in case there is any need for assistance. Stand-alone supervisor stations consist of office computer desks that are separate from one another, or they can be attached and separated by privacy dividers. Each of these two designs has their benefits, but it ensures that a certain level of privacy is maintained from other workers, and allows the different businesses to operate as productively as possible. Another popular design of workstation is at standing height, which allows workers to communicate quickly and effectively with each other. If your workspace is rather large, then you can afford to play around with space a little more. This means that the Agent Stations can be spaced out a bit and actually be the best way to maximise what is available for you. Each agent station will consist of an office desk with an accompanying ergonomic office chair as well as any accessories you require such as monitor arms, foot rests or privacy dividers. In terms of your employee’s health, it is essential that you select furniture and accessories that have undergone an ergonomic assessment as this will significantly reduce the chance of injury. Contemporary panels and pedestals can be included in each agent station, which not only provides excellent space for organisation; it also keeps unsightly cords and wires hidden from view. Why choose call centre furniture? 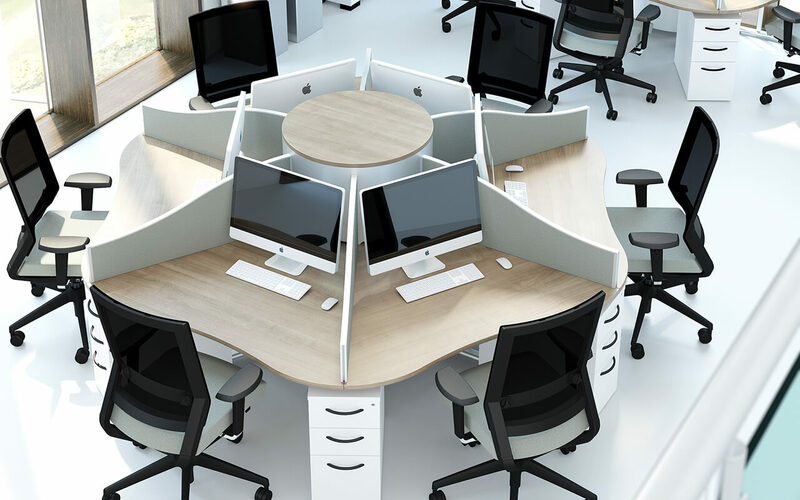 There are numerous advantages to choosing office furniture that has been specifically designed for call centres. 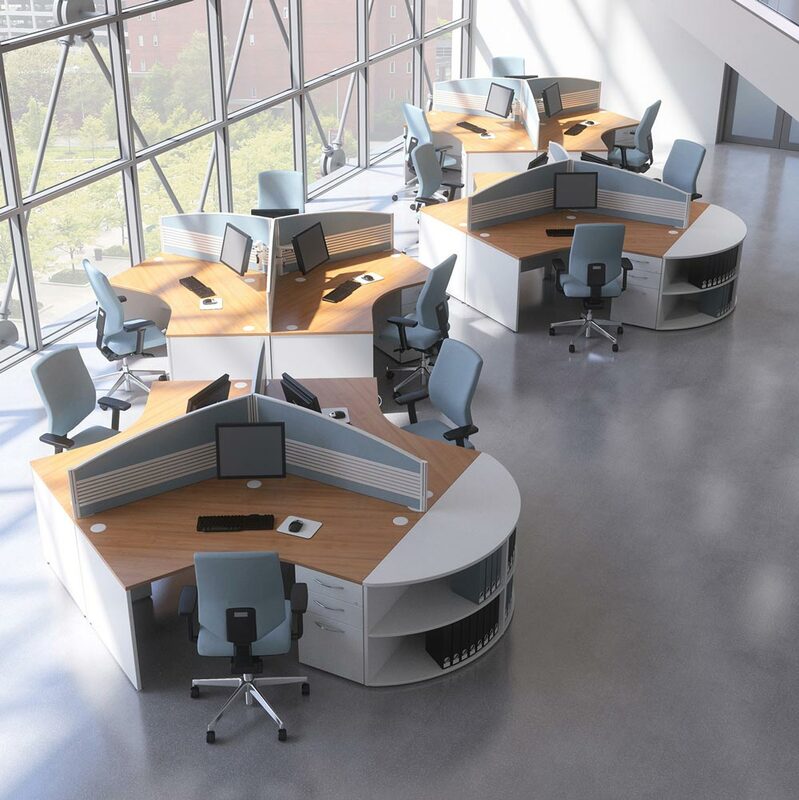 It may seem insignificant, but the layout and style of call centre desks can really help to increase the productivity of your workers. By incorporating features such as ergonomic office furniture and adjustable monitor arms, you are really helping to look after your employee’s health.